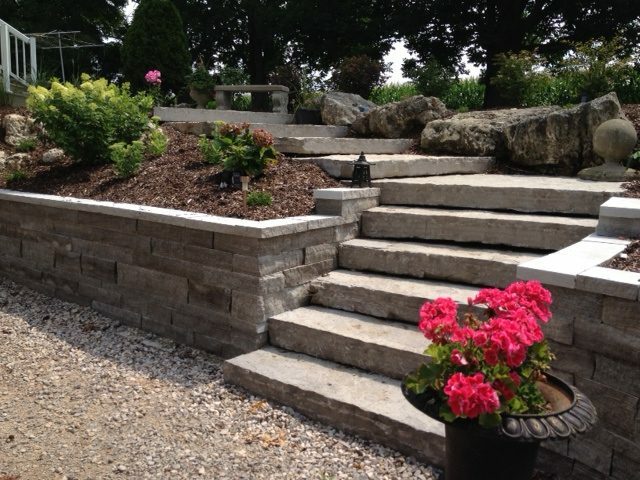 From retaining walls using Manitoulin Boulders and local limestone rockery boulders to patios constructed with flagstone using stone sourced from local reputable quarries Outdoor Environments will create a space that you will enjoy for a very long time. Thanks to new technology, interlocking pavers have evolved to allow better and longer lasting choices for our unique climate. These pavers come in many shapes, sizes and designs and are sure to enhance any style of landscape design.